Cool! Save an average of 20% on Children's Place with 26 Coupon Codes, and 20 Deals! Children's Place features the "big fashion at little prices" you want for kids sized newborn to 14. This one-stop shop for moms and dads carries must-have kids clothing, shoes and accessories for easy mix-and-match style. In addition to its on-trend apparel, Children's Place carries a variety of school uniform separates and accessories. 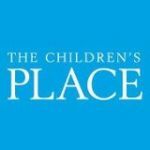 Save big money on your little ones or find free shipping and discount clothing offers with the Children's Place coupon codes below. Details: Get 15% Off everything, no minimum Or 25% Off $50 or more. Expires on 03/10/2014. Details: Get 25% Off $50 or more. Expires on 03/09/2014. Details: Get 30% Off Everything. No Exclusions. Expires on 12/09/2013. Details: 25% Off Everything. Expires on 11/24/2013. Details: Shop denim deals with prices starting at $8. Details: Get Perfect Polos for $7 and up. Expires on 03/10/2014. Details: Save 5% on every purchase every day when you use your Childrens Place Card. Details: Up to 60% off Already Reduced Styles. Prices shown reflect discount. Details: Get Sporty Shorts for $12 and under. Expires on 03/10/2014. Details: Get 20% Off Everything. Expires on 04/21/2014. Details: Get 20% off everything. Exclusions apply. See merchant's site for details. Details & Exclusions: 25% off $50 or more sitewide. Ends 10/14/2013 Exclusions: Not valid in outlet stores, Canada stores or online at thechildrensplace.ca. Cannot be combined with any other offer except PLACE credit card everyday discount & myPLACE rewards certificate discount. Details: Get 15% Off Everything. Expires on 03/09/2014. Details: 25% Off Everything. Expires on 11/11/2013. Details: Save 30% off when you spend $50 or more. Details: Up to 75% Off Everything with your 30% Off coupon. Expires on 12/24/2013. Details: Save Up to 30% off School Uniforms. For a limited time. Free shipping on Dressy Items! Details: Get Free shipping on Dressy Items! Details: Get Jeggings for $12 and up. Expires on 03/10/2014. Details: Up To 60% Off FALL SALE! Details: Clearance reductions $4.99 and under. Select styles only. Details: Monster Sale - Take an Extra 50% off Already Reduced Styles. Online prices reflect savings. Free Shipping on orders over $75. Details: Get up to 86% off school uniforms. Details: Take an extra 50% off already reduced Spring Styles. Plus get free shipping on orders of $75 or more!